Unhealthy salads lurk everywhere. They promise grilled chicken, leafy greens, and fewer carbs, but often deliver bacon, cheddar cheese, and high-fat dressing. Don’t be tricked; this salad will cost you half a day’s calories. The dressing alone has 48 grams of fat, nearly your daily max. 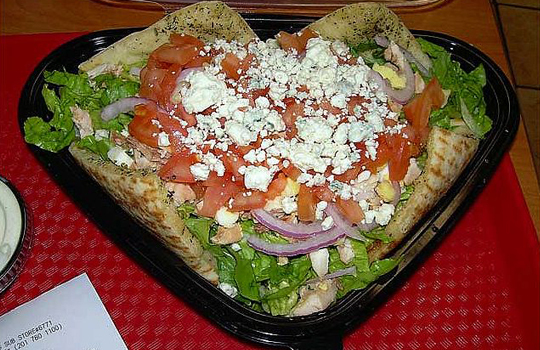 One salad, dressing and bread included: 1,070 calories, 71g fat, 1,770mg sodium. Choose this instead: The Cantina Chicken Sammie, a 205-calorie, low-fat, veggie-filled flatbread sandwich: 455mg sodium, 12g protein. 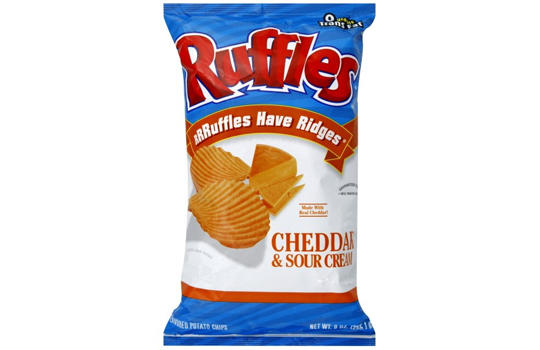 Ruffles don’t just have ridges, they’ve also have 17% of the upper limit of daily fat in just one serving. The calorie count is low, but chances are you’ll eat more than a serving, as most packages are the larger 1.5-ounce size. The 1-ounce serving size: 160 calories, 11g fat, 230mg sodium. The larger size: 240 calories, 16.5g fat, 345mg sodium. Choose this instead: Try Baked! Ruffles in the original flavor. The 1-ounce serving has 120 calories, 3 grams of fat, and 200 milligrams of sodium, plus 2 grams each of fiber and protein. Kids’ meals, in theory, are smaller than adult portions; children simply don’t need as many calories. The average 10- to 12-year-old, the upper age limit for many kids’ menus, needs about 1,600 to 1,800 calories daily. This meal puts them at half of that, with more fat than a grown adult needs in a day. One order: 890 calories, 67g fat, 1,480mg sodium. Choose this instead: Coax your little ones into ordering the Grilled Chicken and Broccoli: 390 calories, 8g fat. 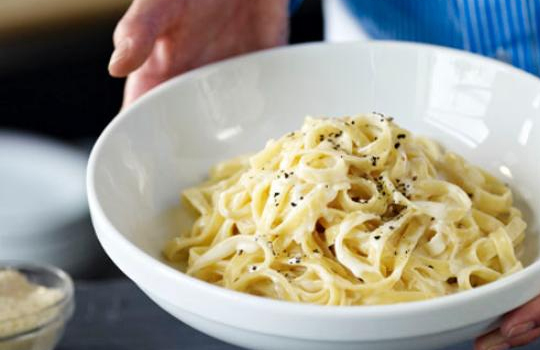 It’s still high in sodium, so ask for sauce on the side and use sparingly.